The first step in managing your allergy is figuring out the allergen. This will help you to minimize exposure to the substances that triggers your allergic symptoms. You should be examined by an allergy specialist in order to diagnose your condition. Beddings: Wash all bedding at 60 degrees or more (necessary in order to eliminate mites) every week. Carpets and Upholstery: Vacuum your carpets and upholstered furniture regularly using a high filtration vacuum cleaner. Your carpets, rugs and upholstered furniture should be cleaned by a professional carpet cleaning company using natural cleaning products and deep steam carpet cleaning techniques at least once a year. Surfaces: Clean all surfaces such as tables, counter tops, floors, windows etc. using damp wipes once a week. Curtains: all curtains and draperies should be washed often. Stuffed Toys: Should be washed once in a while at 60 degrees or more. If the recommended temperature is lower than 60 degrees, put it in plastic bag and place it in the freezer for the night than wash the toy at the temperature recommended in its tag. Humidity: increase air flow and ventilation in every area in your home especially in your bathroom, kitchen and bedroom. Try to avoid houseplants. Deal with every damp area. Pets: limit areas where your pet is allowed mainly the bedroom and groom your pet outside. Cleaning products: people who suffer from allergies should try to avoid toxins and chemicals. Clean carpets, clean rugs, clean beds, clean sofas, clean air and clean surfaces are the key to managing indoor allergens. 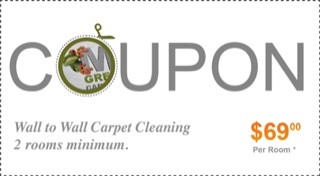 We at Mr. Green Carpet Care offer you wall to wall carpet cleaning services, area rug cleaning and repair services and upholstery cleaning services throughout New York, New-Jersey and Connecticut using only natural eco-friendly and health friendly cleaning products. Call us today at 1-877-444-6364 or visit our contact us page to get a quote. Monday-Friday 9:00 a.m. to 7:00 p.m.
Email: 24 hours a day, 7 days a week. NYC: Manhattan, Brooklyn, Queens, Bronx & Staten Island. Nassau County, Westchester County NY. Parts of NJ and CT. 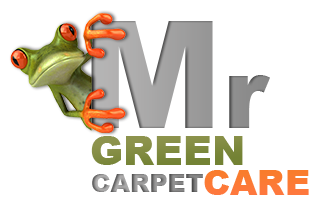 Copyright © 2008-2017 Mr. Green Carpet Care.